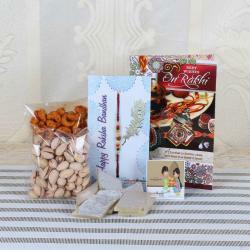 A special goodie pack along with two designer Rakhis set will be a great idea for gifting on the eve of Raksha Bandhan. 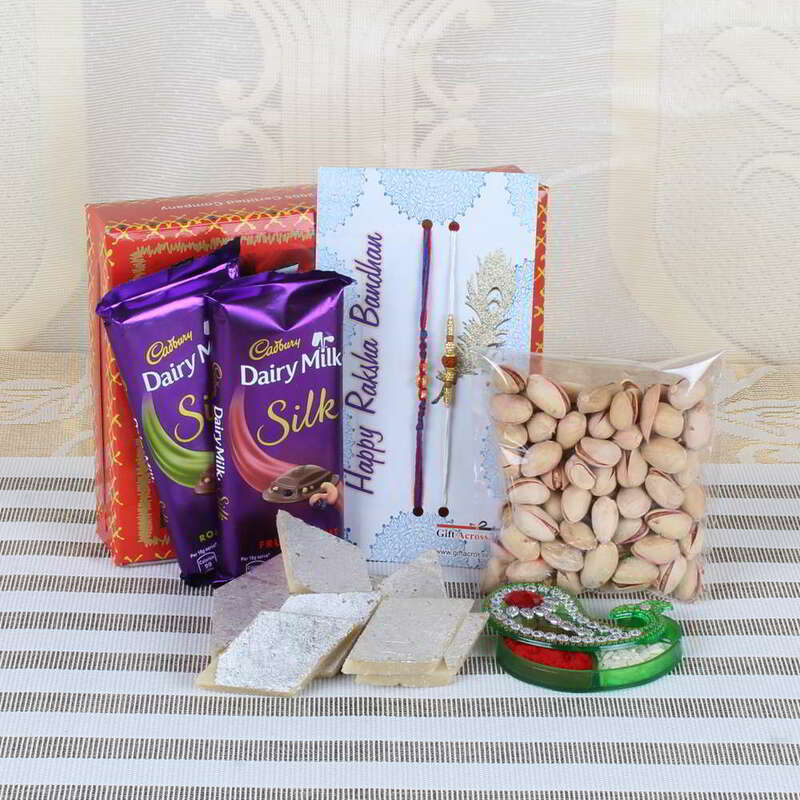 The goodies pack includes a pack of Kaju katli, pistachio and a Cadbury dairy milk silk chocolate. This combo has complete blend of holistic and trendy taste. The look of the combo is very classy which will be loved by all. 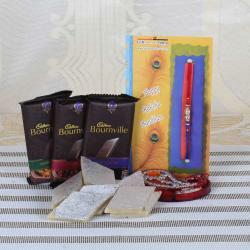 It has everything required for the celebration of Raksha Bandhan. 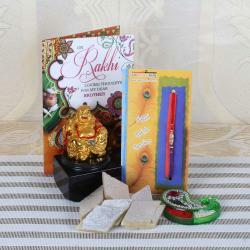 The set of Rakhis are packed in a designer card made especially for such occasion. Make this gift pack be part of your celebration and make a difference. 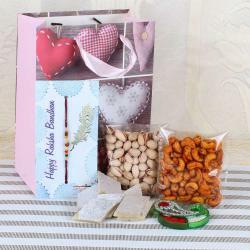 Product Consist: Pistachio (Weight: 100 gms), Kaju Katli (Weight: 200 gms), Cadbury Dairy Milk Silk Chocolate (Weight: 55 gms), 2 Designer Rakhi along with Roli Chawal Container.